Our repair shop was designed from the ground up to efficiently service all types of pumps, mixers, communitors and other equipment. We have separate repair shops for electrical and engine driven equipment. By Pumping Services, Inc. based in Middlesex, NEW JERSEY (USA). By Glynn Technical Diamonds Ltd. based in Kilrush, IRELAND. By Sandvik Mining and Construction B.V based in Amsterdam, NETHERLANDS. Aqua Energy are a market leader in manufacturing and supplying drill pipe and oil riser cleaning systems. For manually cleaning pipes, box & pins in different locations our diesel engine driven, 10' foot, containerised unit, our skid mounted or trailer mounted units are ideal. By Aqua Energy International Limited based in Greenock, UNITED KINGDOM. Texas Aquatic Harvesting manufacturers their own equipment and has experts on staff to handle your custom fabrication needs. 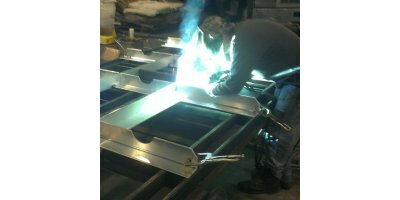 TAH can design and fabricate your project or modify your existing equipment based on your specifications. TAH uses state of the art CAD design. By Texas Aquatic Harvesting Inc. (TAH) based in Lake Wales, FLORIDA (USA). We do a variety of subcontracting jobs, among others. 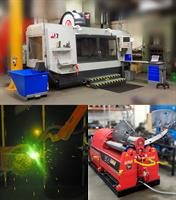 robot welding, CNC machining and rubber work and contract manufacturing. By Mense Oy based in Taavetti, FINLAND.